Gionee Vh1 Supersonic 2017 powered by Budweiser is all set to transform Pune with its multi-genre international music experience! 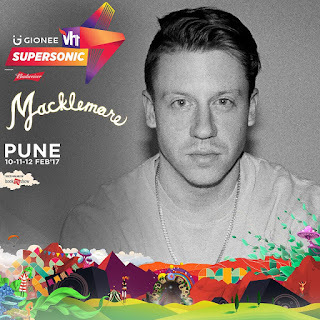 With the biggest names in international music such as legendary DJ Eric Prydz’ Indian debut, Hip-Hop sensation Macklemore and immensely popular Zedd headlining this year, the music festival has ensured the best for its audience by providing mesmerizing experiences at the venue. Vh1 Supersonic calls out to all music lovers on February 10, 11, and 12 at Laxmi Lawns, Magarpatta, Pune to unite for the biggest ever transformative experience with dynamic stages, much-awaited artists, numerous hangout zones, filled with fun and adventurous activities - weave through engaging art installations, shop till they drop at flea markets - and a lot more. Grab your tickets before it gets too late!